Discopop Directory: What is going on with The Strokes? Writing that last post about ginger-topped pop newcomer Chloe Howl made me think "whatever happened to the La Roux album that was supposed to come out last year?" 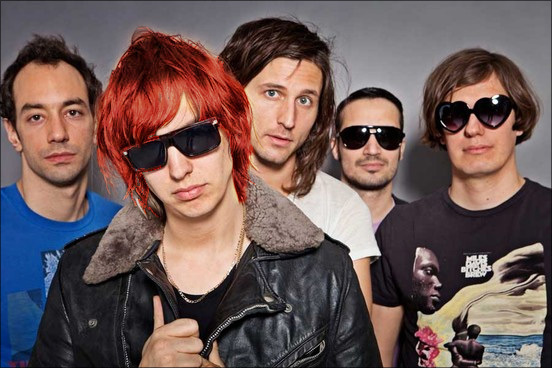 Judging by the new Strokes single One Way Trigger, Julian Casablancas nicked the mastertapes and recorded it himself. He's even borrowed her quiff-tastic hairdo in this promotional shot which I definitely haven't doctored (badly) in Photoshop.